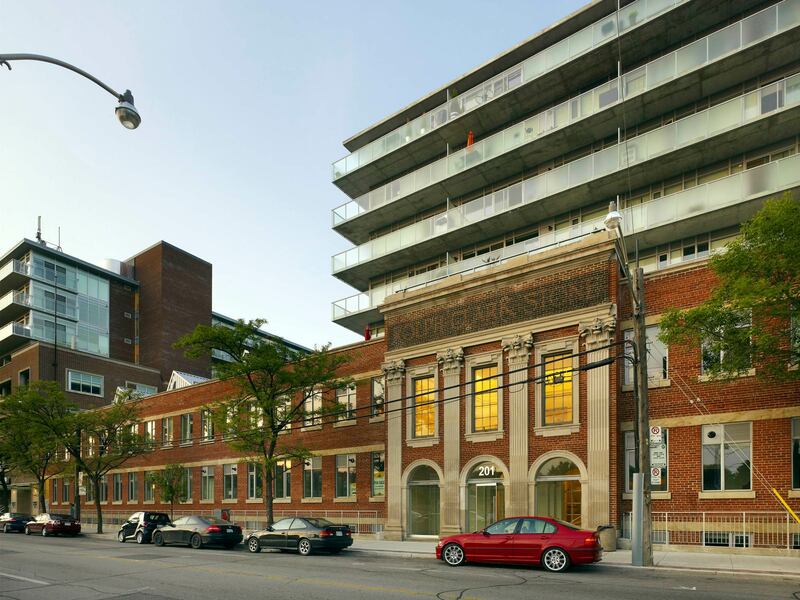 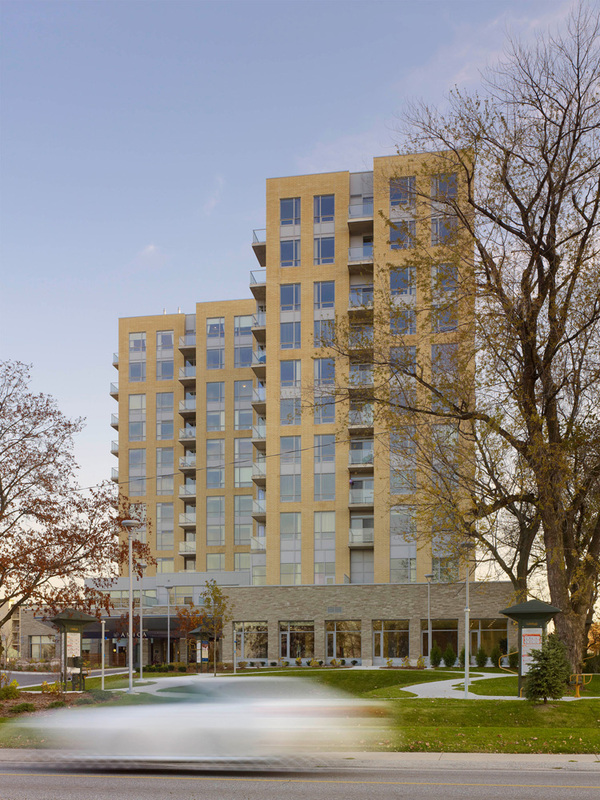 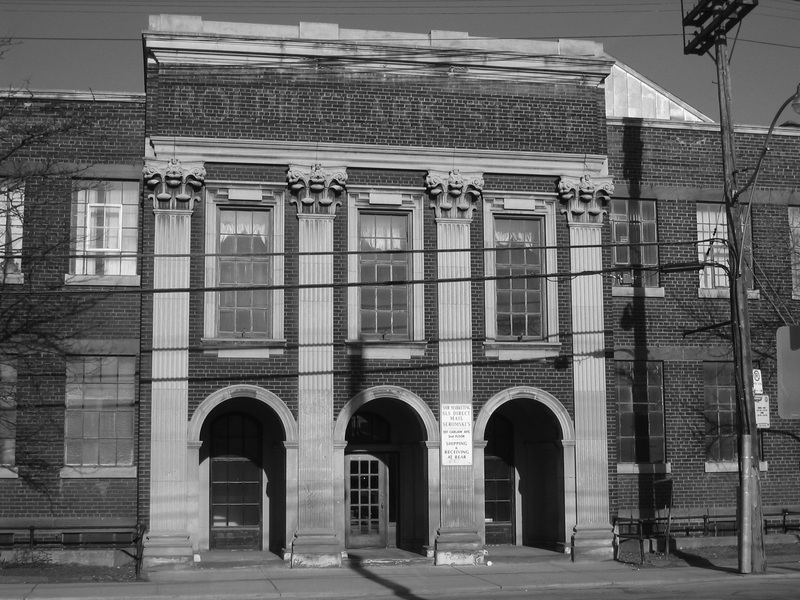 Originally built to house the printing presses of Rolph Clark Stone, 201 Carlaw Avenue has been a Leslieville landmark since its completion in 1913 when this community was at the heart of industry in Toronto. 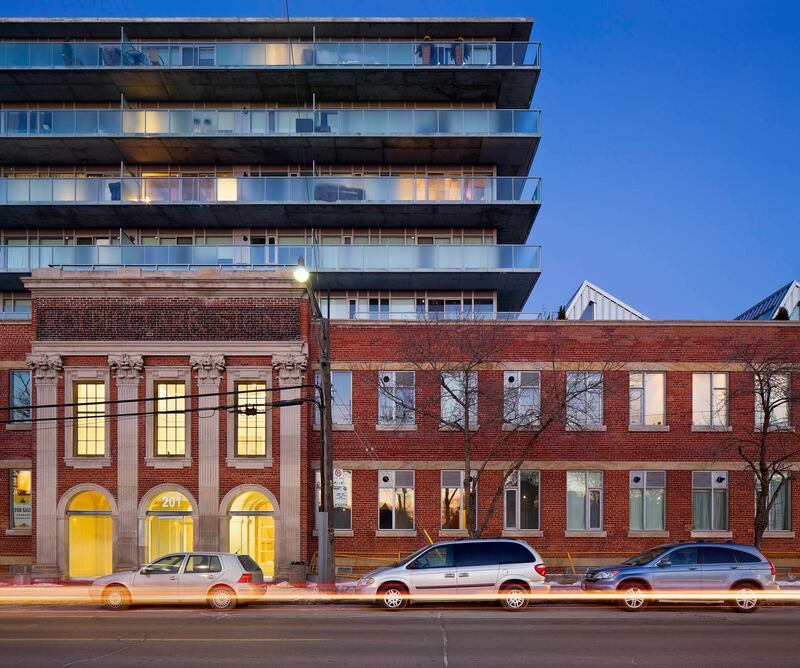 The Printing Factory Lofts project preserves three facades and incorporates significant portions of the original factory building into the project including the classical main entrance portico that opens to a grand wooden staircase below vaulted ceilings. 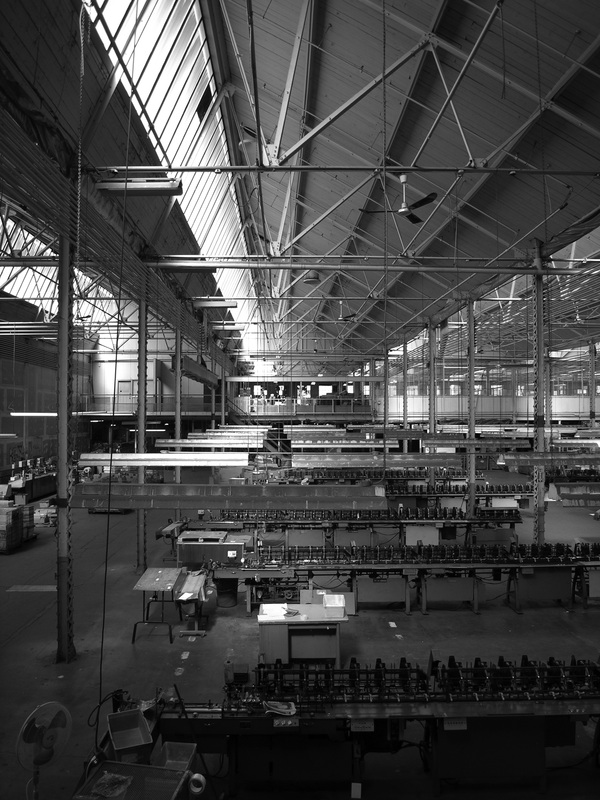 In addition, the original “sawtooth” industrial skylights are fully integrated into the two storey loft units. 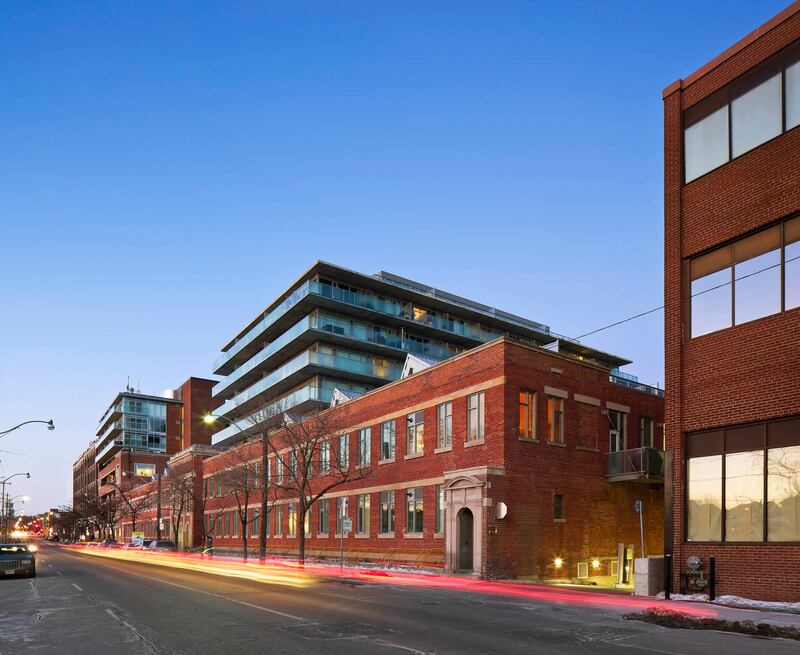 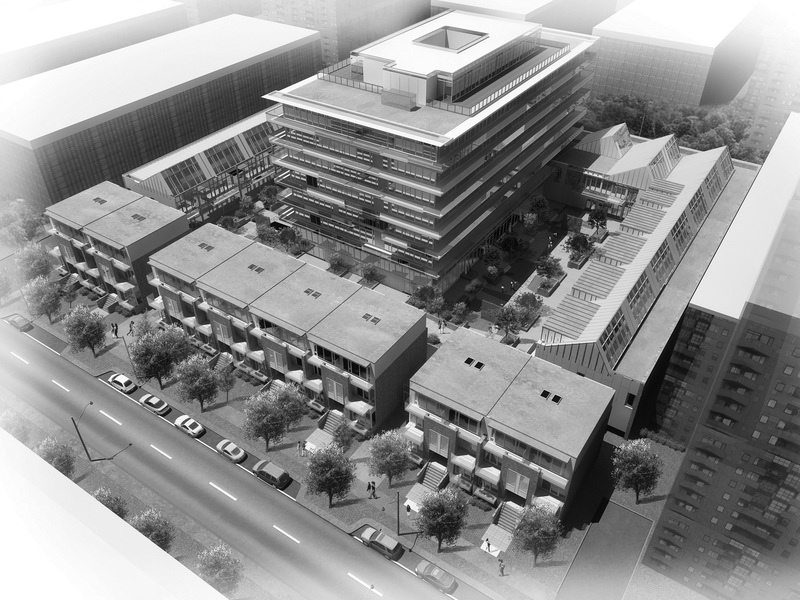 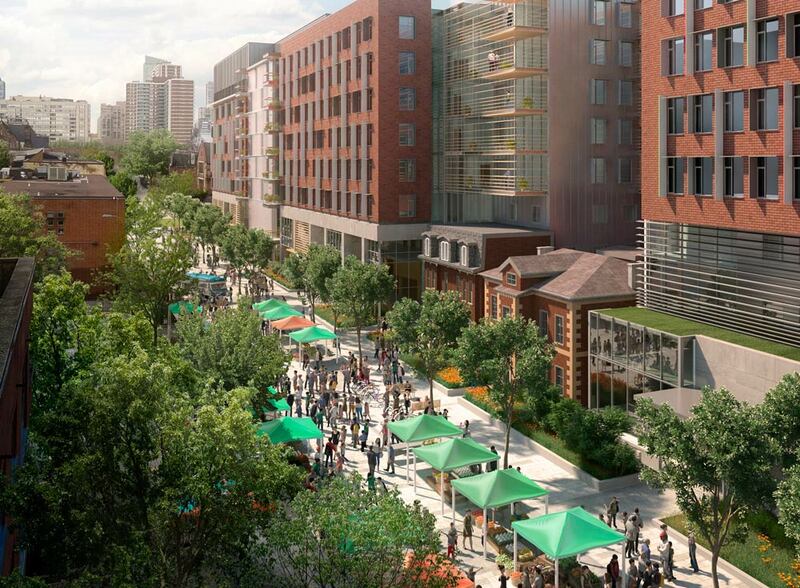 The centre portion of the factory building was carved out to accommodate an eight storey glass tower, two garden courts and a series of townhouses facing Boston Avenue, the residential street to the east. 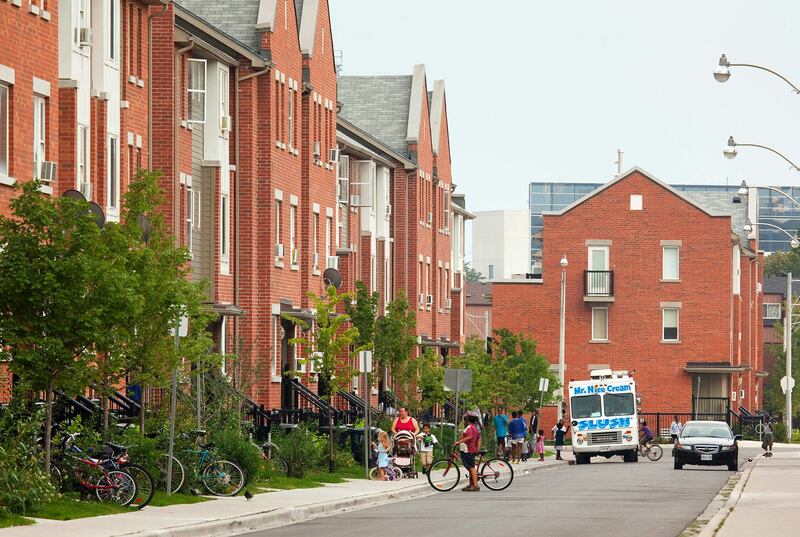 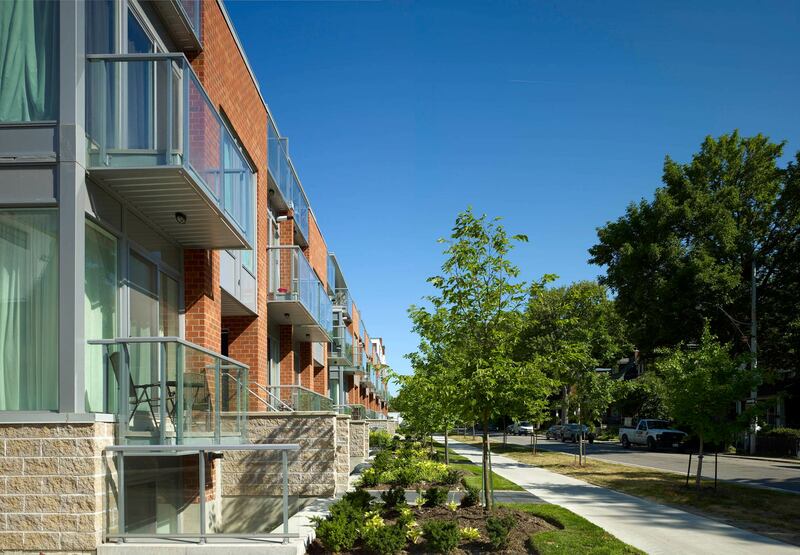 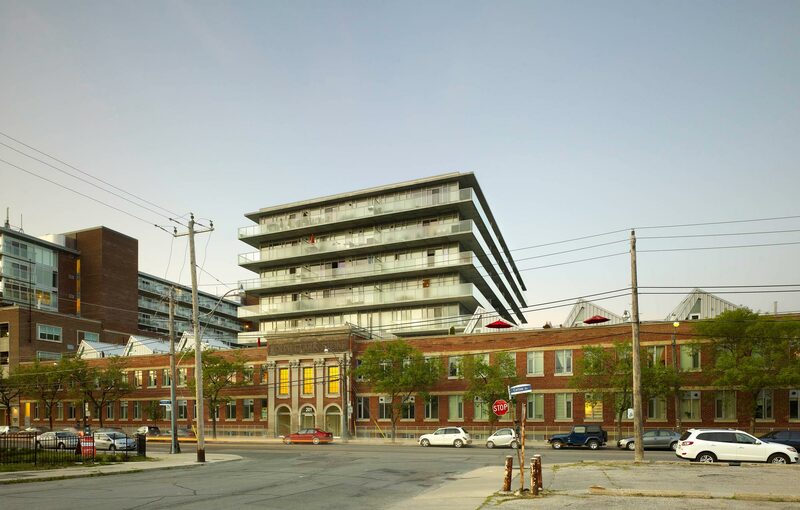 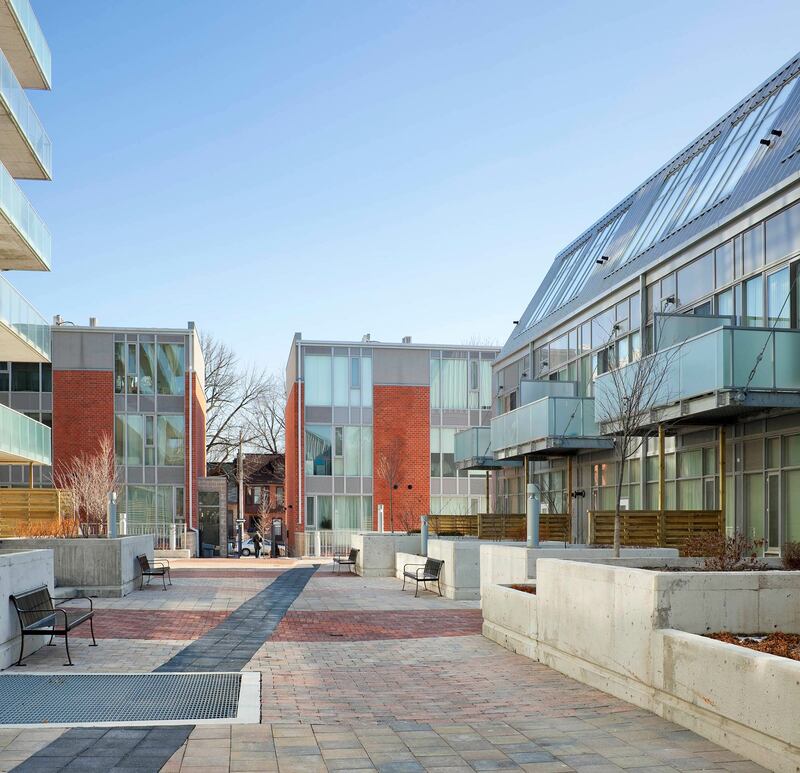 The re-purposing of this abandoned industrial building has introduced 254 new housing units into this vibrant and evolving neighbourhood.